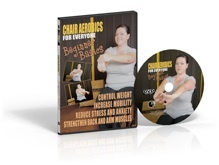 Chair Aerobics for Everyone video series is a safe effective, low impact workout good for all fitness levels. 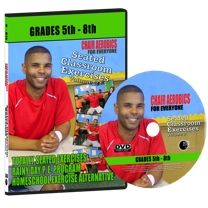 This video series is an effective alternative to conventional exercise if you have never exercised, cannot stand for a prolonged amount of time or are just returning to a fitness routine. Chair Aerobics is also challenging enough for people at higher fitness levels wanting to exercise in limited space, such as at the office. Simple boxing moves, such as Power punches and combinations. Upper body toning, increase strength, flexibility, and muscle-tone. Forward and back shimmies, belly rolls, exotic hand movements. Safe effective, low impact workout good for all fitness levels. A full body cardio work out with a fun Latin flair. Slow flowing movements that help tone and firm muscles without strain. A series gentle stretches and easy to perform yoga positions. Designed for the very beginner or for individuals with limited mobility. Include a combination of stretches, light resistance training and meditation. 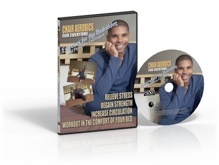 Increase your energy level and self-esteem, lose pounds & inches. 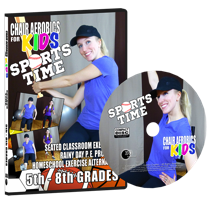 Includes quick workouts from Chair Aerobics, Chair Boxing and Circuit Training Beachparty. All on one DVD. A collection of videos designed specifically for children. 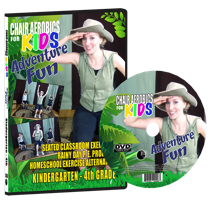 An immersive exercise DVD that takes children through rivers, fields and caves in search of a mythical treasure. Your living room or classroom will be transformed into a baseball field, football stadium and swimming pool! Use on rainy or cold days when children cannot go outside. 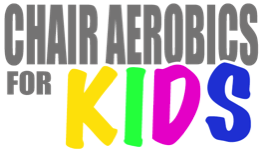 Between classes or anytime children need some physical activity. 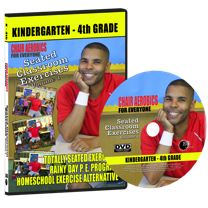 Ideal for home school children that went to include physical education into their curriculum.